We will carry out the property inspection and Report ordered by You in accordance with this agreement and You agree to pay for the inspection on receipt of the invoice. In ordering the property inspection, You agree that the inspection will be carried out in accordance with the following clauses which define the scope and limitations of the inspection and the Report. If you fail to notify us of Your acceptance of this agreement and/or You do not cancel the requested inspection more than 24 hours prior to the scheduled inspection time, then You agree that this document forms the agreement between You and Us. In residential pre-purchase situations, the building inspection will be carried out in accordance with The Australian Standards under AS4349.1-2007. In residential pre-sale situations and for all other Special Purpose Reports, the building inspection will be carried out in accordance with The Australian Standards under AS4349.0. Except for the defined scope of a Special Purpose Report, the purpose of the inspection is to identify Major Defects and safety hazards associated with the property at the time of the inspection. The inspection and reporting is limited to Appendix C of AS4349.1-2007. See Definitions below for The Australian Standards. 1. The Report does not include an estimate of the cost for rectification of the defects. The overall condition of the building will be compared to similarly constructed and reasonably maintained buildings of approximately the same age. Areas for inspection shall cover all Safe and Accessible Areas. 2. In accordance with The Australian Standards, the inspection shall comprise a visual assessment of the items listed in Appendix C to AS4349.1-2007 for the structures within 30 metres of the building and within the site boundaries including fences. The inspection WILL NOT cover or report on the items listed in Appendix D to AS4349.1-2007. See Definitions below for The Australian Standards. 6. 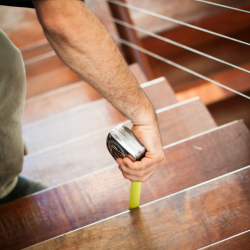 The pest inspection will be conducted in accordance with The Australian Standards under AS4349.3-2010 Inspection of Buildings Part 3: Timber pest inspections. The purpose of the pest inspection is to provide advice about the condition of the property concerning timber pest activity as outlined in the Scope of this Agreement. 7. In the case of pre-purchase timber pest inspections or timber pest inspections in accordance with AS 4349.3-2010, the inspection and resulting Report will be confined to reporting on the discovery, or non discovery, of infestation and/or damage caused by subterranean and dampwood termites (white ants), borers of seasoned timber and wood decay fungi (rot), present on the date and time of the Inspection. 8. In both cases the Inspection will not cover any other pests and the Report will not comment on them. Dry wood termites (Family: KALOTERMITIDAE) and European House Borer (Hylotrupes bujulus Linnaeus) will be excluded from the Inspection. 9. 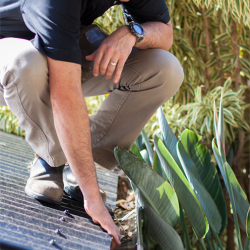 The inspection will report any evidence of a termite treatment that happens to be found. Where evidence of a treatment is reported then the Client should assume that the treatment was applied as a curative and not as a preventative measure. You should obtain a statement from the owner as to any treatments that have been carried out to the property. It is important to obtain copies of any other related paperwork issued. 10. The Inspector will conduct a non–invasive visual inspection which will be limited to those accessible areas and sections of the property to which Safe and Reasonable Access (see Definitions below) is both available and permitted on the date and time of the inspection. Areas where reasonable entry is denied to the inspector, or where Safe and Reasonable access is not available, such areas are excluded from and do not form part of the inspection. Those areas may be the subject of an additional inspection upon request following the provision of reasonable entry and access. 11. The inspection WILL NOT involve any invasive inspection including cutting, breaking apart, dismantling, removing or moving objects including, but not limited to, roofing, wall and ceiling sheeting, ducting, foliage, mouldings, debris, roof insulation, sarking, sisalation, floor or wall coverings, sidings, fixtures, floors, pavers, furnishings, appliances or personal possessions. The inspector WILL NOT dig, gouge, force or perform any other invasive procedures. An invasive inspection will ONLY be performed if a separate contract is entered into between You and Us. 12. The inspector may use a probe or screwdriver to tap and sound some timbers and may use a sharp knife to carry out some “splinter testing” on structural timbers in the sub-floor and/or roof space. Splinter testing WILL NOT be carried out where the inspection is being carried out for a purchaser who is not the owner of the property being inspected. 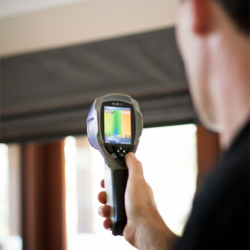 The inspector may use a moisture meter to check moisture levels in walls that back onto wet areas such as showers etc. Other than these areas, the moisture meter will not be used on other surfaces except where the visual inspection indicates that there may be a need to further test the area. 13. The inspection and Report compares the inspected building with a building constructed to the generally accepted practice at the time and one which has been maintained so that there has been no significant loss of strength and permanence. 14. 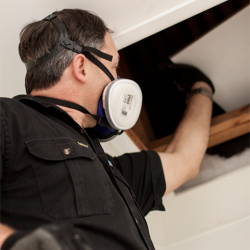 The inspection excludes the inside of walls, between floors, inside skillion roofing, inside the eaves, behind stored goods in cupboards, and other areas that are concealed or obstructed. Insulation in the roof space may conceal the ceiling timbers and make inspection of the area unsafe. 15. The Report is not a certificate of compliance that the property complies with the requirements of any Act, regulation, ordinance, local law or by-law, or as a warranty or an insurance policy against problems developing with the building in the future. 16. Asbestos: No inspection for asbestos will be carried out at the property and no report on the presence or absence of asbestos will be provided. If during the course of the Inspection asbestos or materials containing asbestos happen to be noticed then this may be noted in the general remarks section of the Report. If asbestos is noted as present within the property then you agree to seek advice from a qualified asbestos removal expert as to the amount and importance of the asbestos present and the cost of sealing or of removal. 17. Mould (Mildew) and Non-Wood Decay Fungi Disclaimer: No inspection or report will be made for mould (mildew) and non-wood decay fungi. 18. Magnesite Flooring Disclaimer: No inspection for Magnesite flooring will be carried out at the property and no report on the presence or absence of Magnesite Flooring will be provided. You should ask the owner whether Magnesite Flooring is present and/or seek advice from a Structural Engineer. 19. Estimating Disclaimer: Any estimates provided in the Report are merely opinions of possible costs that could be encountered, based on the knowledge and experience of the inspector, and are not estimates in the sense of being a calculation of the likely costs to be incurred. The estimates are NOT a guarantee or quotation for work to be carried out. The inspector accepts no liability for any estimates provided throughout this Report and where they occur You agree to obtain and rely on independent quotations for the same work. v. copies of any paperwork issued and the details of all work carried out, and if possible, provide such paperwork to the inspector prior to the inspection being carried out. 21. Where the property is a strata or similar title, only the interior and immediate exterior of the specified dwelling will be inspected by the inspector. The inspection will be as outlined in AS4349.1-2007 Appendix B. Therefore it is advised that the client obtain an inspection of common areas prior to any decision to purchase. 22. The inspection and Report WILL NOT report on any defects which may not be apparent due to prevailing weather conditions at the time of the inspection. Such defects may only become apparent in differing weather conditions. 23. You agree that We cannot accept any liability for Our failure to report a defect that was concealed by the owner or occupier of the building being inspected and You agree to indemnify Us for any failure to find such concealed defects. 24. Where Our Report recommends another type of inspection including an invasive inspection and report and the Report is for a pre-purchase situation, then You should have such an inspection carried out prior to the contract going unconditional. If You fail to follow Our recommendations then You agree and accept that You may suffer a financial loss and indemnify Us against all losses that you incur resulting from Your failure to act on our advice. 25. Unless otherwise stated, the Report is prepared and presented under the assumption that the existing use of the building will continue as a Residential Property. 26. Nothing contained in the Report will imply that any inaccessible or partly inaccessible area(s) or section(s) of the property are not, or have not been, infested by termites or timber pests. Accordingly the Report will not guarantee that an infestation and/or damage does not exist in any inaccessible or partly inaccessible areas or sections of the property. Nor can it guarantee that a future infestation of Termite Pests will not occur or be found. If the property to be inspected is occupied, then You must be aware that furnishings or household items may be concealing evidence of problems, which may only be revealed when the items are moved or removed. 27. The Report will state timber damage found as “very minor”, “minor”, “minor to moderate”, “moderate”, “moderate to extensive” or “extensive”. This information is not the opinion of an expert, as the inspector is not qualified to give an expert opinion. The Report will not and cannot state the full extent of any timber pest damage. If any evidence of timber pest activity and/or damage resulting from timber pest activity is reported either in the structure(s) or the grounds of the property, then You must assume that there may be some structural or concealed damage within the building(s). An invasive timber pest inspection (for which a separate contract is required) should be carried out and You should arrange for a qualified person such as a Licensed Builder, Structural Engineer or Architect carry out a structural inspection and to determine the full extent of the damage and the extent of repairs that may be required. 28. If timber pest activity and/or damage is found, within the structures or the grounds of the property, then damage may exist in concealed areas, e.g. framing timbers. In this case an invasive inspection is strongly recommended. Damage may only be found when wall linings, cladding or insulation are removed to reveal previously concealed timber. You agree that neither We nor the individual conducting the inspection is responsible or liable for the repair of any damage whether disclosed by the Report or not. 29. In the event of a dispute or a claim arising out of, or relating to the Inspection or the Report, You must notify Us as soon as possible of the dispute or claim by email, fax or mail. You must allow Us (which includes persons nominated by Us) to visit the property (which visit must occur within twenty eight (28) days of your notification to Us) and give Us full access in order that We may fully investigate the complaint. You will be provided with a written response to your dispute or claim within (28) days of the date of the inspection. (b) The arbitration will be held within (21) days of the Arbitrator receiving the written submissions. The Arbitrator will make a decision determining the dispute or claim within twenty one (21) days of the final day of the arbitration. The Arbitrator may, as part of his determination, determine what costs, if any, each of the parties are to pay and the time by which the parties must be paid any settlement or costs. In the event that You do not fully comply with the above Complaints Procedure and commence litigation against Us then You agree to fully indemnify Us against any awards, costs, legal fees and expenses incurred by Us in having your litigation set aside or adjourned to permit the foregoing Complaints Procedure to complete. Compensation will only be payable for losses arising in contract or tort sustained by the Client. Any third party acting or relying on this Report, in whole or in part, does so entirely at their own risk. However, if ordered by a real estate agent or a vendor for the purpose of selling a property, then the inspection Report will have a life of 14 days from the date of the inspection during which time it may be transferred to the purchaser or potential purchaser providing the purchaser or potential purchaser agrees to the terms of this agreement and only then may rely on the Report subject to the terms and conditions of this agreement and the Report itself. The Report may not be sold or provided to any other Person without Our express written permission, unless the Client is authorised to do so by Legislation. If We give our permission it may be subject to conditions such as payment of a further fee by the transferee and agreement from the transferee to comply with this clause. If you request Us to re-inspect the property for any reason, the minimum cost is $220. 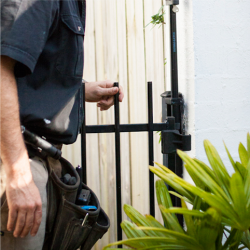 Re-inspection of the property is sometimes required if an area was locked or inaccessible at the time of inspection or if You are the vendor and have made repairs and request an amended Report. You agree to pay an Administration fee of $50.00 if the inspection is postponed or cancelled by You, or at Your request, within 72 hours of the agreed inspection time. You agree to pay 50% of the inspection fee if the inspection is postponed or cancelled by You, or at Your request, within 48 hours of the agreed inspection time. You agree to pay the cost of the inspection fee if the inspection is postponed or cancelled by You, or at Your request, within 24 hours of the agreed inspection time. You agree to make payment for the inspection and Report on receipt of the invoice. NB We may withhold verbal advice or the issue of the Report until payment has been received. You should read and understand the following definitions of words used in this agreement and the Report. This will help You understand what is involved in a property inspection, the difficulties faced by the inspector, and the contents of the Report which will be provided to You following the inspection. Accessible Area is any area of the property and structures allowing the inspector Safe and Reasonable Access (see definition) within the scope of the inspection. Active means live timber pests that were sighted during the inspection. High Moisture Readings means a reading on a moisture meter that is higher than the norm for other parts of the structure. Such high readings should be investigated by invasive means as the presence could indicate a leak or may indicate timber pest activity and damage. Inactive means that no Active (see definition above) timber pests were detected but evidence such as workings, damage, mudding or exit holes were found at the time of the inspection. Minor Defect means a defect that is not a Major defect. Our/Us/We – means the company, partnership or individual named in this agreement that you have requested to carry out the property inspection and Report. Pre-Settlement Handover Report is a type of Special Purpose Report and means a defects inspection report for the purpose of checking the quality of the build in accordance with the acceptable industry standard. Property means the structures, gardens, trees and fences etc up to thirty (30) metres from the exterior walls of the main building but within the boundaries of the land on which the main building is erected. Unless You specifically order in writing that structures, gardens, trees and fences etc outside the thirty (30) metres from the exterior walls of the main building be inspected, no such inspection will be carried out. Roof Space – The dimensions of the access hole must be at least 500mm x 400mm, and, reachable by a 3.6m ladder, and, there is at least 600mm x 600mm of crawl space. NB Reasonable access does not include the use of destructive or invasive inspection methods. Nor does reasonable access include cutting or making access traps, or moving heavy furniture or stored goods. Subfloor – the dimensions of the access hole must be at least 500mm x 400mm, and, there is at least 400mm crawl space beneath the lowest bearer, or, 500mm beneath the lowest part of a concrete floor. NOTE: The inspector shall determine whether sufficient space is available to allow safe access to confined areas. Safe and Reasonable Access does not include the use of destructive or invasive inspection methods. Nor does Safe and Reasonable Access include cutting or making access traps, or moving furniture or stored goods. Special Purpose Report means a Report that is specifically requested by the Client including Pre-Settlement Handover Report and is NOT a report in respect of a pre-purchase inspection. You/Your means the party identified as the Client, and where more than one party all such parties jointly and severally, together with any agent of that party. 37. If there is anything in this agreement that You do not understand, then, prior to the commencement of the inspection, You must contact Us by phone or in person and have Us explain and clarify the matter to your satisfaction. Your failure to contact Us means that You have read to this agreement and You do fully understand the contents. 38. You agree that in accepting this agreement You have read and understood the contents of this agreement and that the inspection will be carried out in accordance with this document. In commercial pre-purchase situations, the building inspection will be carried out in accordance with The Australian Standards under AS4349.0-2007. In commercial pre-sale situations and for all other Special Purpose Reports, the building inspection will be carried out in accordance with The Australian Standards under AS4349.0. Except for the defined scope of a Special Purpose Report, the purpose of the inspection is to identify Major Defects and safety hazards associated with the property at the time of the inspection. The inspection and reporting is limited to Appendix C of AS4349.1 -2007. See Definitions below for The Australian Standards. 1. The Report does not include an estimate of the cost for repairs or rectification of the defects. The overall condition of the building will be compared to similarly constructed and reasonably maintained buildings of approximately the same age. Areas for inspection shall cover all Safe and Accessible Areas. 2. In accordance with The Australian Standards, the inspection shall comprise a visual assessment of the items listed in Appendix C to AS4349.1-2007 for the structures within 30 metres of the building and within the site boundaries including fences. The inspection WILL NOT cover or report on the items listed in Appendix D to AS4349.1-2007. See the Definitions below for The Australian Standards. 15. The Report is not a certificate of compliance that the property complies with the requirements of any Act, regulation, ordinance, local law or by-law, or as a warranty or an insurance policy against problems developing with the building in the future. No comparison will be made to approved plans, specifications, inclusions, approvals etc. 16. The inspector will NOT specify how a defect is to be rectified. appliances (such as air conditioners, ovens, cook-tops, fans, lights, intercom, electric latch, television, stereo, door opening devices, emergency exit signs/lights), footings, concealed plumbing, fire safety, gas fittings and fixtures, electrical installations, swimming pools, health hazards (e.g. allergies, soil toxicity, lead content, radon, presence of asbestos or urea formaldehyde), timber pest activity, soil conditions, control joints, sustainable development provisions, concealed tie downs, concealed framing members and bracing, landscaping, furniture and accessories, insulation, energy efficiency, environmental matters, adequacy of roof drainage, footings below ground, disabled access, concealed damp-proof course. 18. The inspector will NOT report on minor wear and tear items. 19. Common property areas will not be inspected unless You are purchasing or selling the entire building comprising all the common property. 20. Asbestos: No inspection for asbestos will be carried out at the property and no report on the presence or absence of asbestos will be provided. If during the course of the Inspection asbestos or materials containing asbestos happen to be noticed then this may be noted in the general remarks section of the Report. If asbestos is noted as present within the property then you agree to seek advice from a qualified asbestos removal expert as to the amount and importance of the asbestos present and the cost of sealing or of removal. 21. Mould (Mildew) and Non-Wood Decay Fungi Disclaimer: No inspection or report will be made for mould (mildew) and non-wood decay fungi. 22. Magnesite Flooring Disclaimer: No inspection for Magnesite flooring will be carried out at the property and no report on the presence or absence of Magnesite Flooring will be provided. You should ask the owner whether Magnesite Flooring is present and/or seek advice from a Structural Engineer. 23. Estimating Disclaimer: Any estimates provided in the Report are merely opinions of possible costs that could be encountered, based on the knowledge and experience of the inspector, and are not estimates in the sense of being a calculation of the likely costs to be incurred. The estimates are NOT a guarantee or quotation for work to be carried out. The inspector accepts no liability for any estimates provided throughout this Report and where they occur You agree to obtain and rely on independent quotations for the same work. 25. Where the property is a strata or similar title, only the interior and immediate exterior of the specified dwelling will be inspected by the inspector. The inspection will be as outlined in AS4349.1-2007 Appendix B. Therefore it is advised that the client obtain an inspection of common areas prior to any decision to purchase. 26. The inspection and Report WILL NOT report on any defects which may not be apparent due to prevailing weather conditions at the time of the inspection. Such defects may only become apparent in differing weather conditions. 27. You agree that We cannot accept any liability for Our failure to report a defect that was concealed by the owner or occupier of the building being inspected and You agree to indemnify Us for any failure to find such concealed defects. 28. Where Our Report recommends another type of inspection including an invasive inspection and report and the Report is for a pre-purchase situation, then You should have such an inspection carried out prior to the contract going unconditional. If You fail to follow Our recommendations then You agree and accept that You may suffer a financial loss and indemnify Us against all losses that you incur resulting from Your failure to act on our advice. 29. Unless otherwise stated, the Report is prepared and presented under the assumption that the existing use of the building will continue as a Commercial Property. 30. Nothing contained in the Report will imply that any inaccessible or partly inaccessible area(s) or section(s) of the property are not, or have not been, infested by termites or timber pests. Accordingly the Report will not guarantee that an infestation and/or damage does not exist in any inaccessible or partly inaccessible areas or sections of the property. Nor can it guarantee that a future infestation of Termite Pests will not occur or be found. If the property to be inspected is occupied, then You must be aware that furnishings or stored items may be concealing evidence of problems, which may only be revealed when the items are moved or removed. 31. The Report will state timber damage found as “very minor”, “minor”, “minor to moderate”, “moderate”, “moderate to extensive” or “extensive”. This information is not the opinion of an expert, as the inspector is not qualified to give an expert opinion. The Report will not and cannot state the full extent of any timber pest damage. If any evidence of timber pest activity and/or damage resulting from timber pest activity is reported either in the structure(s) or the grounds of the property, then You must assume that there may be some structural or concealed damage within the building(s). An invasive timber pest inspection (for which a separate contract is required) should be carried out and You should arrange for a qualified person such as a Licensed Builder, Structural Engineer or Architect carry out a structural inspection and to determine the full extent of the damage and the extent of repairs that may be required. 32. If timber pest activity and/or damage is found, within the structures or the grounds of the property, then damage may exist in concealed areas, e.g. framing timbers. In this case an invasive inspection is strongly recommended. Damage may only be found when wall linings, cladding or insulation are removed to reveal previously concealed timber. You agree that neither We nor the individual conducting the inspection is responsible or liable for the repair of any damage whether disclosed by the Report or not. 33. In the event of a dispute or a claim arising out of, or relating to the Inspection or the Report, You must notify Us as soon as possible of the dispute or claim by email, fax or mail. You must allow Us (which includes persons nominated by Us) to visit the property (which visit must occur within twenty eight (28) days of your notification to Us) and give Us full access in order that We may fully investigate the complaint. You will be provided with a written response to your dispute or claim within (28) days of the date of the inspection. (d) The arbitration will be held within (21) days of the Arbitrator receiving the written submissions. If you request Us to re-inspect the property for any reason, the minimum cost is $110. Re-inspection of the property is sometimes required if an area was locked or inaccessible at the time of inspection or if You are the vendor and have made repairs and request an amended Report. 41. If there is anything in this agreement that You do not understand, then, prior to the commencement of the inspection, You must contact Us by phone or in person and have Us explain and clarify the matter to your satisfaction. Your failure to contact Us means that You have read this agreement and You do fully understand the contents. 42. You agree that in accepting this agreement You have read and understood the contents of this agreement and that the inspection will be carried out in accordance with this document. Copyright RAPID Solutions 2002 – wording forms a substantial part of this document and is reproduced with permission from RAPID Solutions.